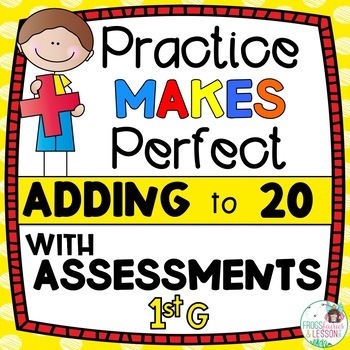 Adding to 20 is an important 1st Grade math standard that includes learning addition properties, finding sums and missing addends in all positions, adding three numbers, and relating addition to subtraction to name a few. 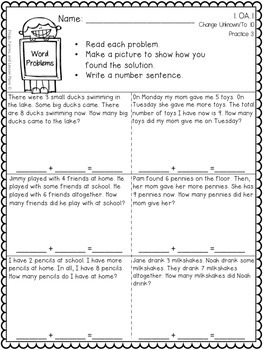 This resource was created to provide year-round practice for addition within 20, addition strategies, and word problem solving skills. It consists of several types of worksheets and assessments that start at the end of Kindergarten level, and progressively go towards mastery of the 1st Grade Common Core Standards for addition within 20. This resource will take you from day one to day 180! You’ll find plenty of practice for teaching and re-teaching, pre and post-assessments, all with answer-keys! Ideal for differentiating instruction. This resource is organized in 3 files. 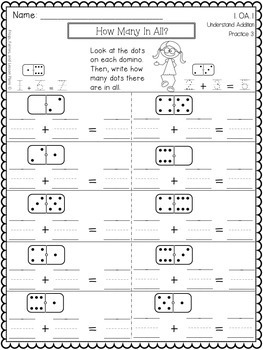 The first one has sheets for addition practice. 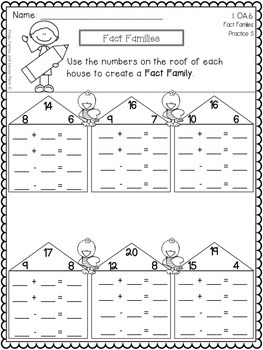 The second one has sheets for word problem solving practice, and the third one has assessments for each of the skills. ✔ Get it in a BUNDLE right here. ✔BUNDLE - All Practice Makes Perfect Files!